Our tiny tarts are flavorful and an easy dessert to add to your holiday table or bring to your next party. 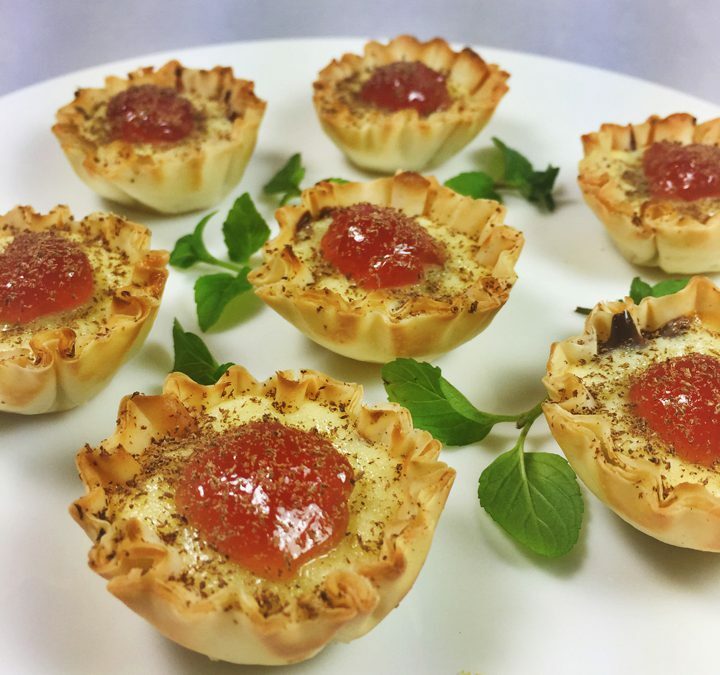 Perfect if you are short on time, mini size tarts require only a few ingredients that come together fast, taste delicious, and make a pretty presentation. Preheat the oven to 350 degrees. Place the filo cups on a parchment lined sheet tray. Add two-three chocolate chips in each cup. Place in the oven for 5 minutes to just melt the chocolate. When removed from the oven, spread the chocolate evenly in the bottom of the Filo cups. Set aside to cool. Using a stand or hand mixer, in a medium bowl beat the cream cheese and sugar. Beat in the egg and vanilla until smooth. Over the melted chocolate, spoon ½ teaspoon of the cream cheese mixture into the cups. They should be three-quarters full. Place in the oven and bake for 15 minutes. Remove when the centers are firm and set aside to cool. When cooled, add ¼ teaspoon of raspberry jam on the top of each cup. Sprinkle with finely grated chocolate. Chill until ready to serve. Makes 30 servings.